Now you can find premium Bourbon-Madagascar vanilla at our store for the best prices. We offer whole Bourbon vanilla pods that are 17 to 19 centimetres shipped in OPP flat bag packed with 25 pieces. 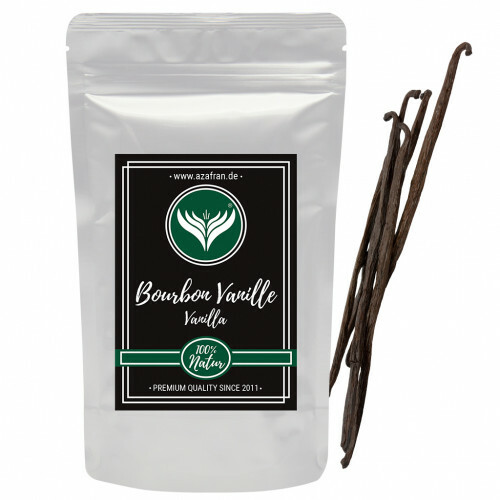 The Bourbon vanilla beans come from the island of Madagascar and are widely used around the world as a delicious vanilla extract. This vanilla got its name from the Isle of Bourbon, which is now known as Réunion. It's characterized by its balanced and uniquely intense flavours. Vanilla is perfect for sweet desserts like creams and puddings, but you can also use it to balance other dishes like white meat, fish, lobster and salmon recipes.